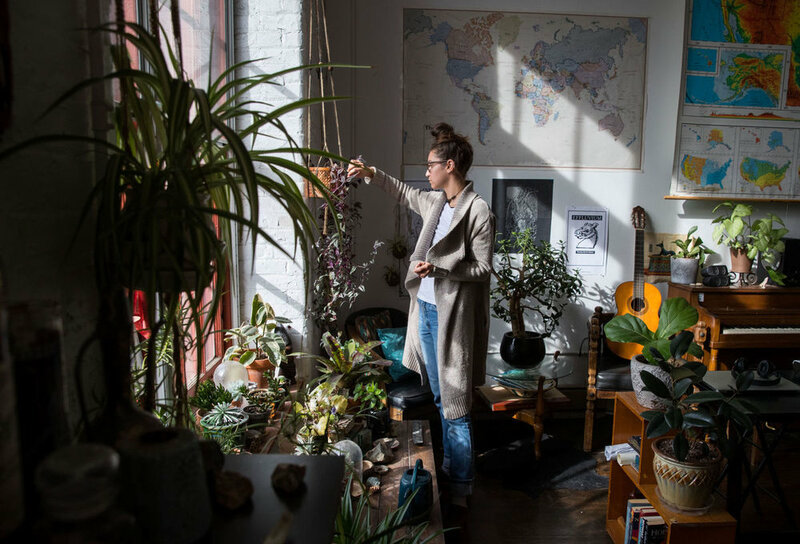 The Green House grew out of a plant obsession in downtown Omaha, NE. but I missed my garden and the large front porch surrounded by plants at my old house. To make up for my missing oasis, I decided to bring it indoors. was overwhelmed with over 100 plants. I strive to incorporate natural elements in my work through my materials to mimic that feeling. and I look forward to sharing my journey with you! to macrame workshops and event floral. Sign up for our mailing list for new product updates, workshops and event info. I'd love to make something special for your home or event. Services I offer include event floral, macrame rental, interior plant installations and custom macrame work. You can see some of my previous projects on the "commissions" page. Send me an email for inquiries about custom work + event pricing. I offer macrame workshops and vend at local artisan markets throughout the year. Check out the events page to find out about upcoming workshops and to see where I'll be vending next. Sign up with your email address to receive new product updates, workshop + event info.